Stick to a single color. Preferably, something closer to the cream colors e.g white. What this does is that creates an optical illusion. The other thing to do would be to use different shades of the same color. For instance as in the photo below, you could use different shades of a rich Raspberry color to create the illusion of space. Just like vertically striped clothes make short people appear taller, vertically striped carpets help in creating the illusion of length. They make the room appear longer, like maybe your walls or floors “go on forever”. Instead of using multiple furniture pieces and knick knacks around the house, why not use one bold piece of furniture? What this does is that it makes the room in question appear less cluttered. A single piece of savvy furniture, if placed correctly, say right in the middle of the room, fills out the room without taking all the attention for itself. Instead of lumping all your furniture against the walls, why not try leaving some space in between, let’s say a few inches? This keeps the room from looking too crummy and boxed in. 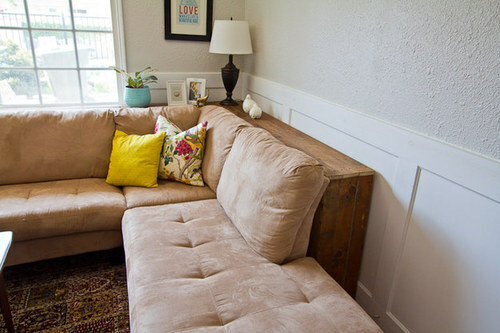 Try instead, to angle your furniture around an open space. This little trick further fools the eye with the illusion of space. Depending on the build of the room your looking to expand, you could choose to create a mirror inspired wall mural. For instance, you could opt to group differently shaped and sized mirrors together, to create a reflection of sorts. 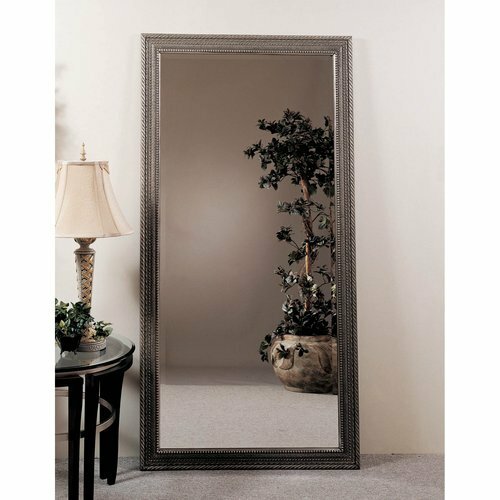 Or, alternatively, you could opt to prop or mount a full length mirror against a wall section.